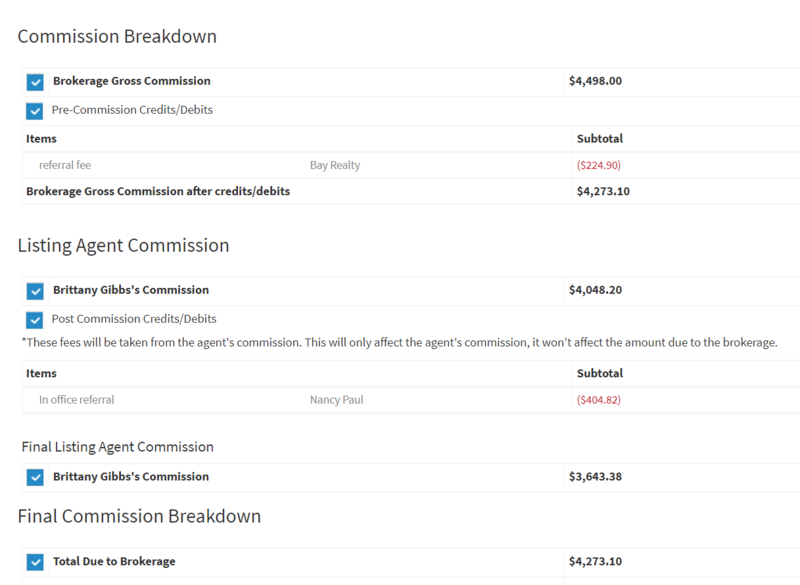 You can email a copy of your commission disbursement PDF to the title/attorney on the transaction, any of your agents, or to a custom email. To email a final PDF to the title/attorney you will need to make sure the title attorney page is filled out and the email address is required. 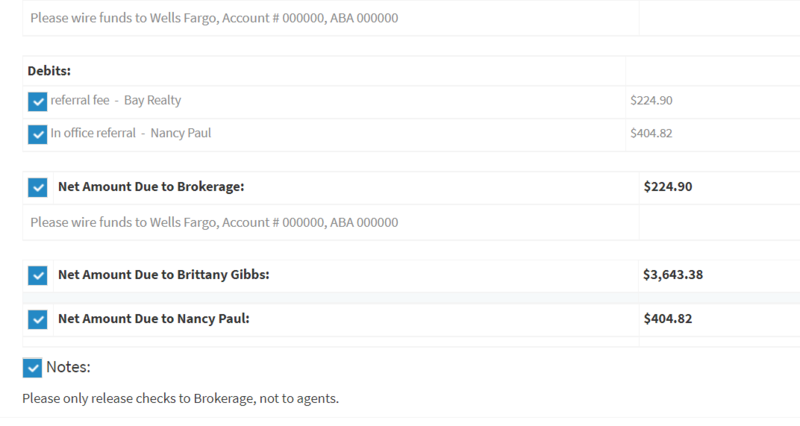 Once you have created your disbursement and clicked Create Disbursement you will be moved to a line item breakdown page for the disbursement. From here you can choose which line items you would like printed on the final PDF that is emailed out. To NOT have items included on the PDF you uncheck the boxes you do not want emailed on the final PDF. 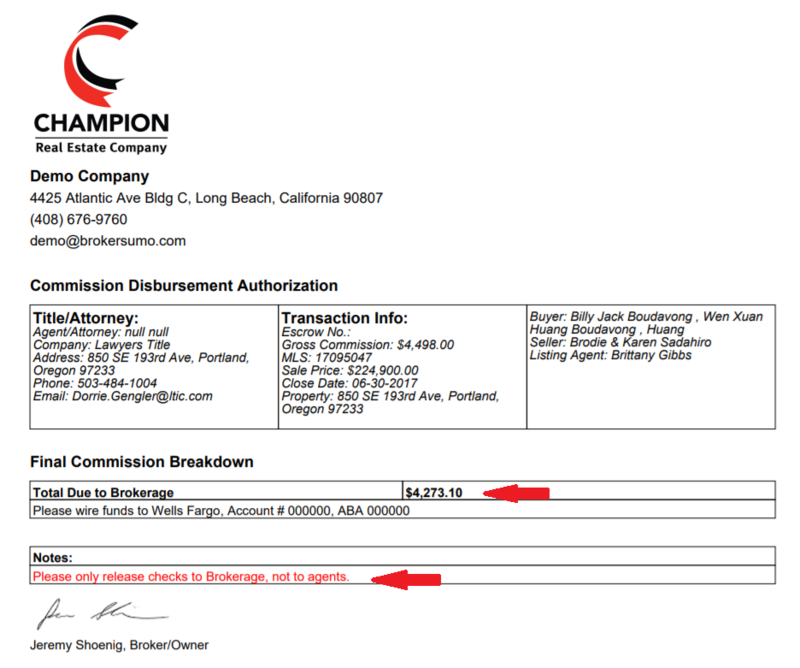 The example below would be one check paid to the brokerage and the brokerage would disburse funds to the agents. 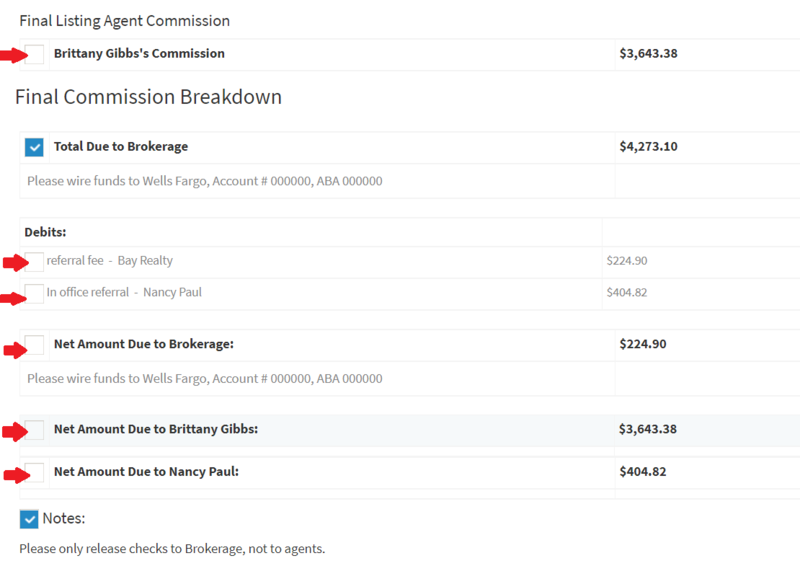 Below is what the final PDF will look like with the total due to brokerage and the notes on the disbursement after it has been emailed to title. 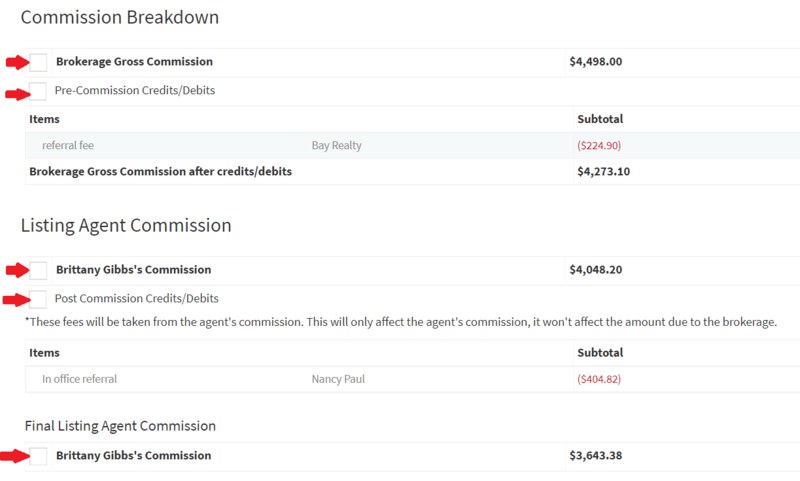 To email the final PDF click on Email Disbursement button at the bottom of the commission disbursement page. You will receive a message to confirm the email addresses and to verify you have the correct boxes selected. Once you confirm your PDF will be emailed out.